1. Kylie Jenner & Tyga: This is one of the most shocking celebrity couples in recent years! Kylie Jenner, star of Keeping Up With The Kardashians, and rapper, Tyga, became an item in late 2014. It shocked people because there is a bit of an age difference, as Jenner is 18 and Tyga is 26. However; the cosmetic queen often shares cute photos and videos of their celebrity relationship on Snapchat. 2. Blac Chyna & Rob Kardashian: As the saying goes, they’re “keeping it in the family.” Rob Kardashian, 29, is now reportedly engaged and expecting a child with Blac Chyna, 29. 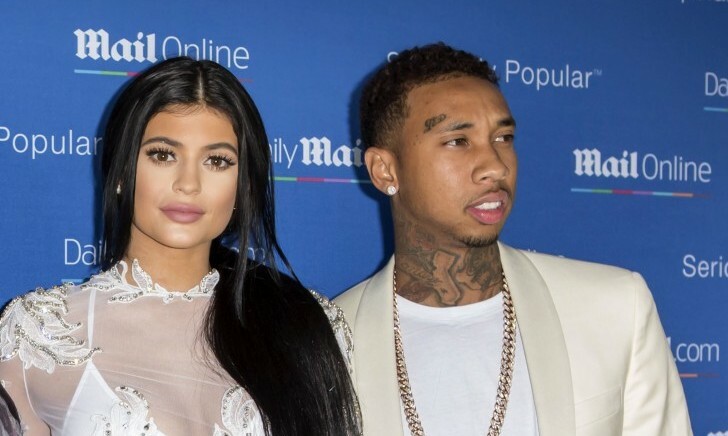 The brother of Kylie Jenner and all of the Kardashian siblings is expected to have a celebrity wedding and celebrity baby with the ex of her current boyfriend, Tyga. Furthermore, Blac Chyna and Tyga even have a baby son together who is one year old. 3. Demi Moore & Ashton Kutcher: Everybody uses the term ‘cougar’ to describe a woman who dates younger men. This was a big phase in Hollywood in the early 2000’s. The most popular celebrity couple with a big age gap was Demi Moore and Ashton Kutcher. They are 15 years apart, and this made them one of the most unexpected couples in Hollywood. Their celebrity marriage lasted from 2005-2013 and showed us age is just a number! 4. Britney Spears & Kevin Federline: “Hit me baby one more time!” One of the most shocking celebrity couples of all time was the princess of pop, Britney Spears, and her back up dancer, Kevin Federline. They married in 2004, divorced in 2007 and have two children together, Sean Preston and Jayden James. They even had their own show at one point, entitled Britney & Kevin: Chaotic that revolved around their home videos. Although this couple split, they showed us how to mix business with pleasure. 5. Charlize Theron & Sean Penn: Popular actors Charlize Theron and Sean Penn have each seen their share of time on the big screen. This celebrity relationship began in the winter of 2013. They were engaged a year later and then the following year they ended their celebrity relationship in the summer of 2015. It was fun while it lasted, especially because they used to even watch shows together such as The Bachelor! Who are your favorite shocking celebrity couples? Share below!